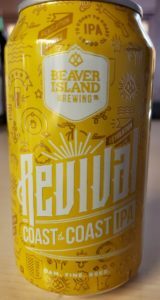 Beaver Island Brewing Co. is an up and coming brewery out of St. Cloud Minnesota. Co-Founders, Nick Barth and Matt Studer both took up homebrewing together back in 2013. After a year of homebrewing, Nick and Matt found that they really enjoyed making beer, so much so that they wanted to turn it into their profession and start up a brewery. Nick and Matt began the process of business planning in early 2014 and finally opened Beaver Island Brewing Co. in 2015, making it St. Cloud’s only local craft brewery if you don’t count the brewery/restaurant chain Granite City. 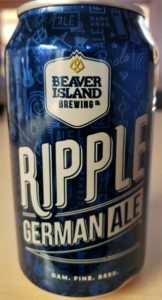 To help them create exceptional beer recipes, they brought on Chris Laumb as Beaver Island’s Brew Master. For their location they chose the storefront that used to house the iconic Bo Diddley’s Deli in Downtown St. Cloud.